Two years after moving to the Philippines, I am finally getting the hang of local lingo. I've learned, for instance, that taxi drivers are called mama (Tagalog for 'uncle') and that unli (short for 'unlimited') refers to any all-you-can-consume product, from rice to cellphone minutes. Some terms, however, took a bit longer to decipher. 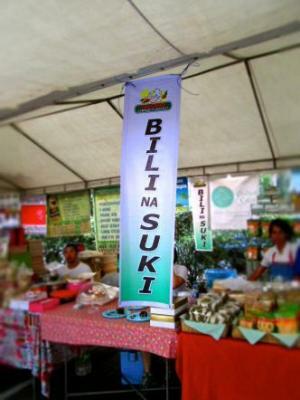 The first time I heard a fellow shopper address a market vendor as suki, I assumed it was his name. When a second seller was greeted likewise, I thought, "What a coincidence!" By the third time at yet another stall, I was suspicious. The you-scratch-my-back-I'll-scratch-yours concept is a cornerstone of modern marketing worldwide, with large companies from airlines and hotels to supermarkets and coffee shops offering reward programs in exchange for customer loyalty. But these big business strategies lack the personal connections found in farmers' markets, independently owned stores, and other places where patrons and purveyors interact face to face and create more intimate relationships. For example, a frequent flyer card with Airline A never stopped me from booking a better deal with Airline B, but I wouldn't readily abandon a favorite farmer who offered fresh produce and friendly conversation just to save a few pennies per pound. In the Philippine suki system, however, the commitment between buyer and seller goes even further. Though the relationship seems informal, it can be as binding as a formal contract, complete with personal and social clauses. This contractual aspect of suki may be traced to its original purpose as a kind of credit check between vendor and customer. If the customer proves to be loyal and dependable, the vendor may feel secure enough to extend credit or defer payment. In turn, buyers with limited means expect that their loyalty will result in the best prices and products to stretch each peso. Developing and maintaining this level of trust is not taken lightly. For that matter, establishing suki in the first place is no mean feat. Given its unwritten and, for the most part, unspoken terms, initiating the relationship is a nebulous process that is part mating dance and part ESP. Simply declaring yourself a suki is not enough – you first need to demonstrate your commitment. When I was trying to establish suki with a local produce vendor, I bought from her for several weekends in a row, making sure to greet her before shopping, asking for her recommendations, and complimenting her offerings. One day, she waved me over and reached beneath the table for a bag of hard-to-find kaffir limes. She remembered that I had raved about them before and, knowing how quickly they sold out, she had set aside a half dozen just for me. With that surprise gesture, she and I became suki without ever uttering the word. Responsibility for maintaining this mutually beneficial relationship falls equally on both sides. Sellers are expected to offer lower prices than those quoted to walk-by shoppers or to add a little something extra (called dagdag). Such perks are not limited to an extra handful of herbs at the farmers' market: after we called for the same large specialty pizza nearly every Thursday for six months, our favorite local pizzeria recently started sending a complimentary small pie with our order. Alex Singzon at Salcedo MarketIn suki, there is a level of personalized service that corporate loyalty programs can't match. 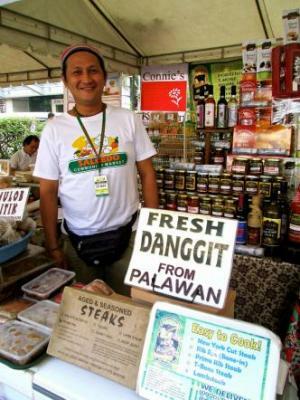 "I always smile and talk [with my suki]," said Alex Singzon, who sells specialty Filipino charcuterie at the Salcedo Saturday Market in Makati, Metro Manila. "Sometimes, we bond and they will ask me to pick out products for them. They have trust that I know what they want." Customers reciprocate with more than just their exclusive patronage. As Alex's suki, I recommend him to anyone looking for longganisa (native sausages), tapa (cured meat), and smoked duck. Such word of mouth advertising is indispensable to small business operators who have limited marketing opportunities and are constantly looking to add to their regular clientele, which represents a sizable chunk of business. "My suki are usually 50% of sales on Saturdays," said seafood vendor Ernesto Rodriguez as he stood among coolers full of tetchy live crabs and frozen prawns idling on ice at Salcedo. "During the holidays, it's 75% to 80%." Trust and friendship are key elements in suki. A strong sense of trust that each party is dealing fairly with the other means that haggling – usually a common practice at the Filipino street market – is minimal, if not entirely eliminated. Even if a regular customer doesn't buy on a particular day, stopping by the vendor’s booth for a quick chat helps to reinforce the personal connection. While invoking the word suki wasn't necessary to establish an understanding with a vendor, it does help to remind both parties of an existing relationship. A regular customer who finds herself crowded out of a popular stall may call out 'Suki!' to make sure she's not ignored. Similarly, sellers may greet a passing client as suki, perhaps as a subtle hint that she has not been buying recently. This sign reads, "Buy Now, Suki"Although suki is first and foremost an economic alliance, the need for a high level of trust means that personal connections made are not easily dissolved. Imagine if a good friend suddenly started ignoring you during parties – others may notice and wonder what you may have done to merit the snub. When a customer fails to uphold her end of the bargain – shopping elsewhere for the same product or appearing disinclined to promote her suki – she may be signaling a negative opinion of the vendor to others, intentionally or not. To cause hiya (embarrassment or shame) is a powerful aspect of Filipino social relations and should not be casually disregarded. In other instances, however, it may be the seller who breaks the bond. For several weeks, I faithfully bought dayap (native Key limes) and other items from a new vendor. Perhaps I should have invoked the secret code rather than simply assume we were tight as suki, because the relationship soon turned lop-sided. In addition to buying from her every weekend, I directed friends and family to her stall. In turn, she raised her prices until she was soon charging me nearly double for the fruit. The ship was well and truly sunk when she sold her entire stash one weekend without saving a single measly citrus for me, despite my weekly fidelity. Since my patronage didn't seem terribly important to her, I have since obliged by walking past her limes without so much as a glance. 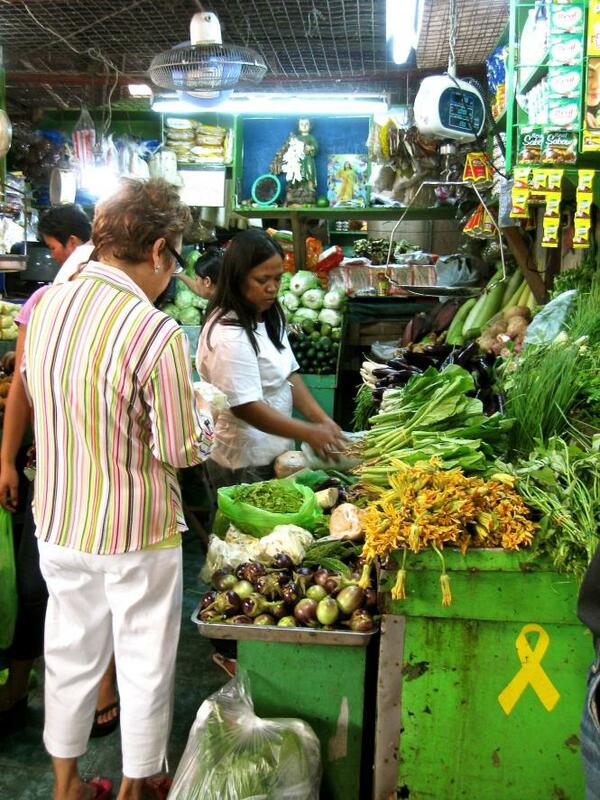 The suki system in the Philippines is a welcome practice, especially in competitive environments full of small business enterprises, such as traditional wet markets. But its widespread practice in urban areas full of corporate chain entities may be changing. As Alex and Ernesto have observed, younger buyers are not as quick to engage in suki, in keeping with marketing research that indicates brand loyalty increases with age. Also playing a role: the Philippines' young labor force is in demand, which has resulted in rising incomes. This may mean younger shoppers are less sensitive to price fluctuations and therefore less concerned with seeking the safeguards offered by suki. Finally, they may be more inclined to spend their pesos at modern malls and supermarkets where, ironically, some retailers offer reward programs billed as 'suki cards'. As an inveterate bargain-hunter with an aversion to haggling and a penchant for chattiness, I find that suki suits me. Even if the original goal of suki – as an economic alliance to shield against negative market forces – doesn’t apply, the personal interaction that it encourages holds a deeper value on its own. Tracey Paska lives, eats and writes in Manila, Philippines, where she revels in the fact that she can wear flip-flops outdoors in January. When she's not exploring Manila's foodscape, she freelances for a national food magazine and writes about the complex and fascinating connections between food, culture, and society on her blog Tangled Noodle. Follow her at @TangledNoodle. 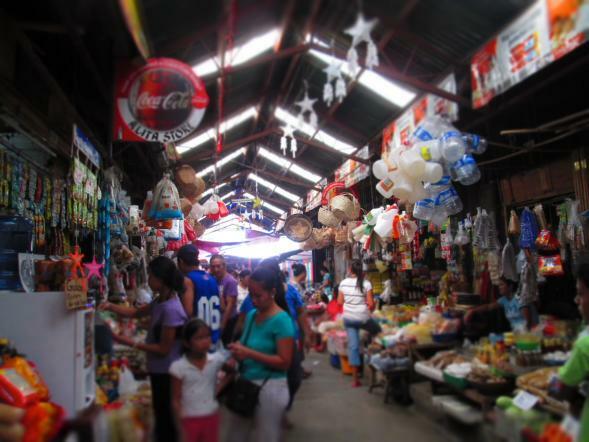 Her last article for us was Globally Aware: Shopping Outside the Big Box in the Philippines.